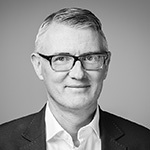 Magnus became CEO of LS Retail in November 2010. 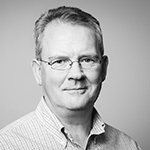 He has over 30 years’ experience in various management positions within industries such as Software Development, IT, Pharmaceutical and Banking in Iceland, Europe and in the United States. He has a proven track record and management skills, focusing on customer relations, quality, sustainability, profitability and controlled growth. Magnus graduated with a B.Sc. in Computer Science and Mathematics from Rockford University in 1986, with an B.Sc. in Electrical Engineering in 1988 and a M.Sc. in Electrical Engineering in 1989 from the University of California. Eloise Freygang has been at LS Retail since 2000. With the Marketing team, Eloise is responsible for Marketing worldwide, with the main mission to build the LS Retail brand, online marketing effectiveness, delivering value to partners and customers, engagement, interaction, idea generation and events management to help drive results. Eloise has a B.Sc. in Science and a Master’s degree in Marketing and International Business. Dadi joined LS Retail as Product Development Manager in 1998 and in 2007 he was appointed Director of Development. Dadi holds a Cand. Science degree in Industrial and Mechanical Engineering, a B.Sc. in Computer Science and studied M.Sc. in Financial Engineering at the University of Iceland. 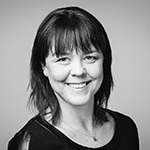 Sigrun Dora joined LS Retail in 2012 and is responsible for both partner operations as well as internal operations. 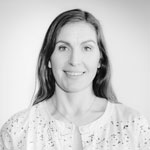 Formerly she was Director of Business Development at Marorka, handling partner relationships, and prior to that she worked in software development at Nyherji, Gagarin and Trackwell. Sigrun Dora holds an M.Sc. degree in Computer Science from the University of Iceland. 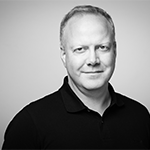 Gunnar has over 25 years of experience from various IT companies in ERP implementations and development. 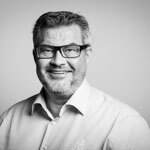 He worked as the Sales Director Dynamics (NAV, AX, CRM, SharePoint, BI) for Advania Iceland, and before that he was the CEO of Hugur hf. He has a Cand. Oecon degree in Business and Economics from the University of Iceland. Prior to joining LS Retail, Bergthora was Head of Human Resources at Nocomatic Lottery Solutions. She also worked in various managerial positions at Siminn (Telecom) and Samskip (Transport and logistics). Bergthora holds a MSc degree in Human Resource Management form Stirling University and BSc degrees in International Marketing and Industrial Engineering from Reykjavik University. 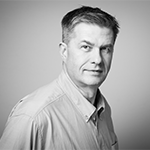 Kristjan has more than 20 years of experience in sales and marketing of IT services and software licenses. 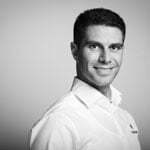 He has been working with Large Enterprise Account Management in the Retail since 2013 for SAP in Norway. He was Managing Director of Applicon for over 10 years providing SAP and Microsoft consulting services. 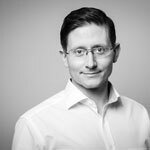 Kristjan holds a Masters degree in Business Administration from Aarhus School of Business, Denmark with focus on marketing and international business. Carsten joined LS Retail in 1998 and has been working with Business Development since 1994. This includes the development of concepts for various types of partners – first for Navision and later for LS Retail. Before joining Navision (now Microsoft Dynamics NAV), Carsten worked 6 years with IBM AS/400 applications, trained Office/400 and was a part of a development team developing ERP applications (Finance/400). 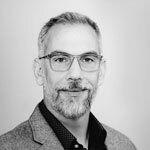 Jason has over 21 years’ experience in enterprise software business development, sales and delivery, thereof 15 years’ experience within ERP, e-commerce and m-commerce at SAP, Sybase iAnywhere, BroadVision and Ernst & Young. Jason graduated with a B.Sc. in Systems Engineering from the United States Military Academy at West Point, NY and an M.Sc. degree in Systems Engineering (Health Systems) from the Georgia Institute of Technology, Atlanta, GA.
Qiping has been with LS Retail since October 2007 and heavily involved in the build-up of LS Retail business in the Asia Pacific region. 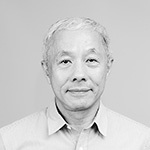 Qiping has over 20 years’ experience in retail IT and acquired a strong industry knowledge through various roles, ranging from software development, to product management, to partner & channel management, during his career with LS Retail, K3 Business Technology Group and Toshiba TEC in the UK and Singapore. 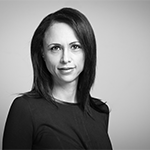 Waddah joined LS Retail in January 2014. He has over 15 years of experience in Business Solutions, Channel and Large Account Management. Waddah has been working with LS Retail directly for the past 6 years managing the distributor relation in the MEA region with a primary focus on customer satisfaction, quality results and growth. 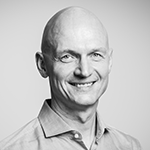 Matthias joined LS Retail in April 1996 with a two year period as a CIO for a large retail organization. 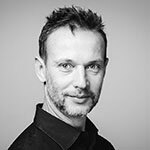 During his 30 year experience in the information technology industry, Matthias has led and taken part in the birth of numerous products/systems both as a team member and as a leader. Matthias holds a B.S. in Business Computer Information from St. Cloud State University in Minnesota, United States. Andries is an engineer by qualification and has been working in the IT field for over 20 years in various management capacities. He started at Navision R&D in Denmark (prior to Microsoft acquisition) then opened his own company Atmo Technologies in South Africa. He moved to Iceland 5 years ago and joined Marorka (ship energy management) where he was the VP for Sales and Marketing. He joined LS Retail in 2016. Petur has been with LS Retail from the start. A Computer Science graduate from the University of Iceland, he initially worked as a developer before taking on the role of Product Manager for LS One. Petur is now the Product Director for LS Omni – focusing on developing software solutions for the booming mobile market. 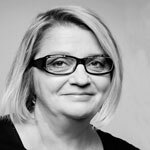 Gudrun, also known as Gua, was introduced to NAV in 1998 when she started working for Landsteinar DK in Denmark. She has been working with the LS Retail solutions since then. Gua has been involved in various retail projects, developing, consulting and training partners in different countries around the world. Before she became a Product Director, her responsibilities at LS Retail were as a senior developer/consultant, Training Manager and Development Director for LS Nav. 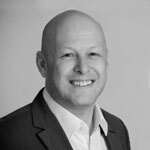 Martin has over 17 years of experience in IT business solutions as a developer, consultant, pre-sales consultant and project manager with a long professional relation with LS Retail. He has worked mainly in the Microsoft Dynamics ecosystem but also for Oracle and Intentia/Lawson and has implemented ERP applications, CRM, Datawarehouse/BI and Workflow solutions.